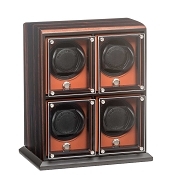 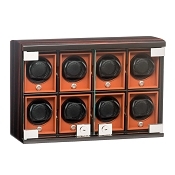 Underwood is pleased to introduce the new luxury watch winder collection, completely renewed in layout, material and new matching color of the winders fixed inside the unit: The Macassar Zebra wood collection. 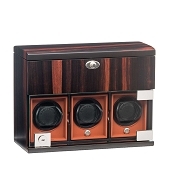 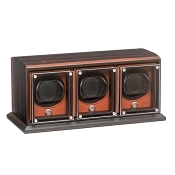 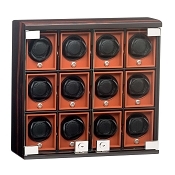 This new generation of luxury wood watch winders is manufactured in Italy, powered by a Swiss motor, and, offers the legendary quality and quiet operation of the traditional “Rotobox”. 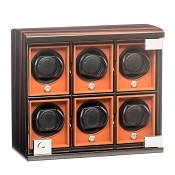 The new design allows for larger dimension watches with a dial diameter up 57mm. 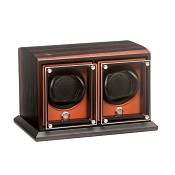 The exterior, produced in coated latex, has a rich and soft touch in orange color.